WOW STUDIOS - MASTERS OF MAGIC - Fabio Lamarca. 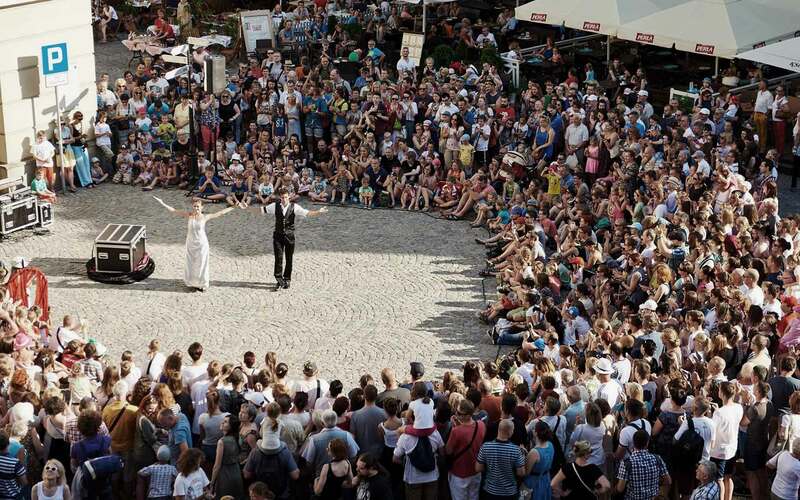 Tags: street magic, Quick-change, the metamosfosis illusion. 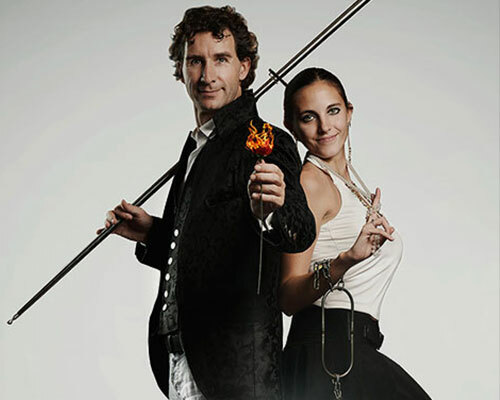 A unique show where moments of improvisation, audience participation and amazing illusions flow into each other as they achieve a perfect balance. 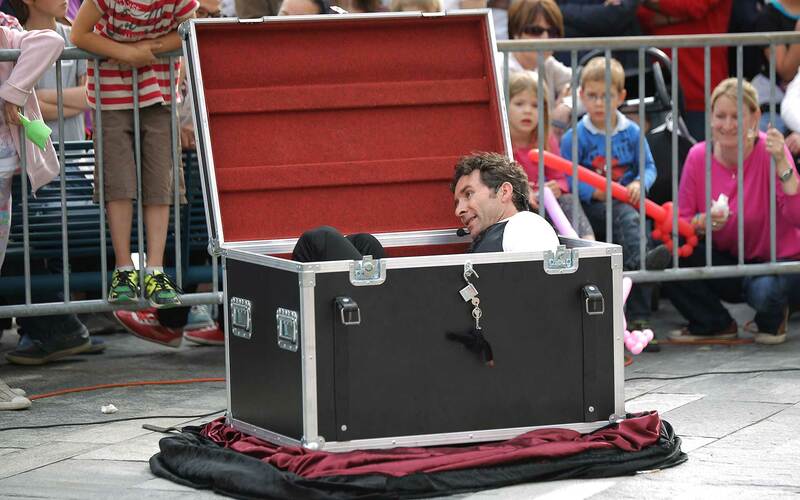 It offers everything a genuine Magic Show should. It is dynamic and enthralling, and already has numerous awards to it’s name! 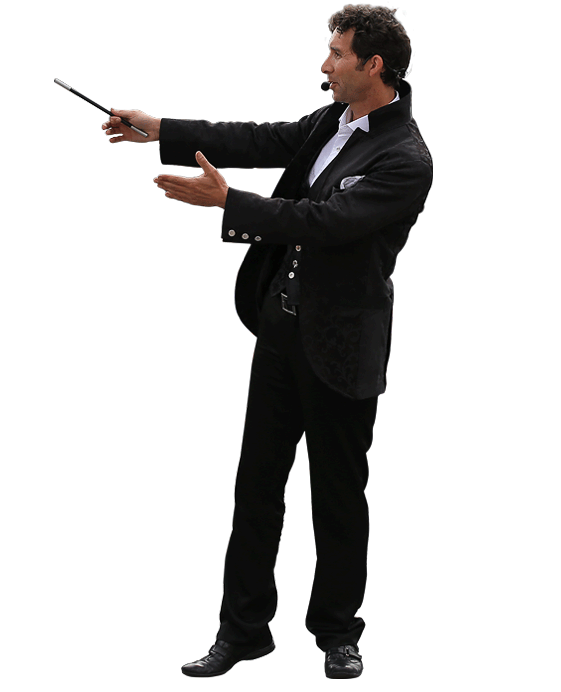 A special performance that shows how amazing magic is, with its power to manipulate the smallest of things, accompanied by a thread of subtle irony and with the greatest illusions ever. 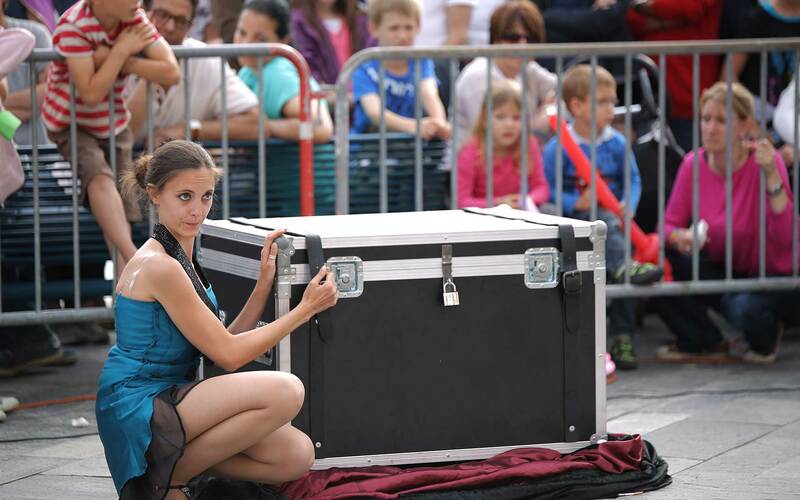 IZIMAGIC STREET SHOW is an explosive mix between the greatest stage magic illusions and the energy of a real busking show. 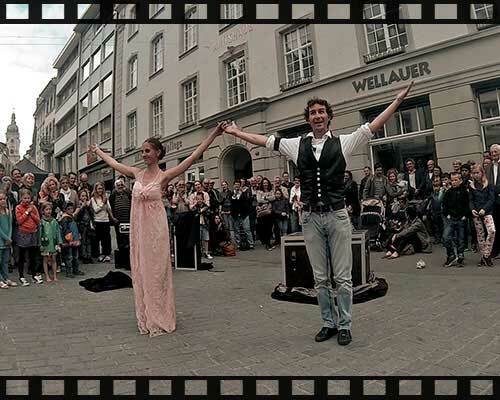 40 minutes of pure illusion and laughs with one of the best street magic show in the world! 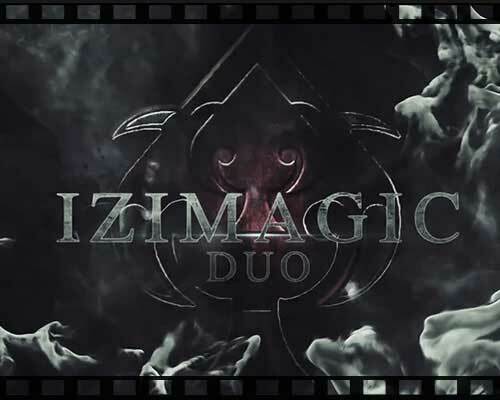 IZIMAGIC STAGE SHOW include also some mentalism effects! IZIMAGIC FOR VARIETE AND GALA is a concentrate of the best moments and illusions of the show in a beautiful act which include the Quick-change and Metamorphosis illusion! 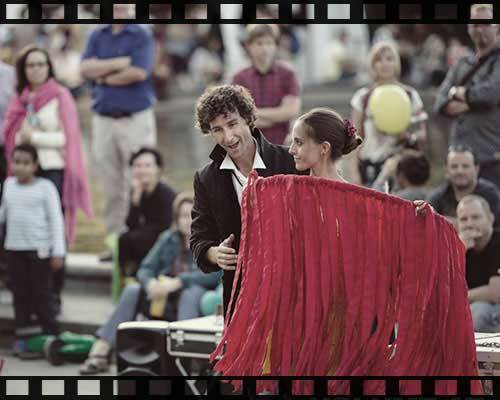 Sebastien and Rebecca are an artistic duo that took shape in 2012. Together they work to unite the manipulation from small everyday objects to large illusions in a single show. Each one brings their skills within the performance. 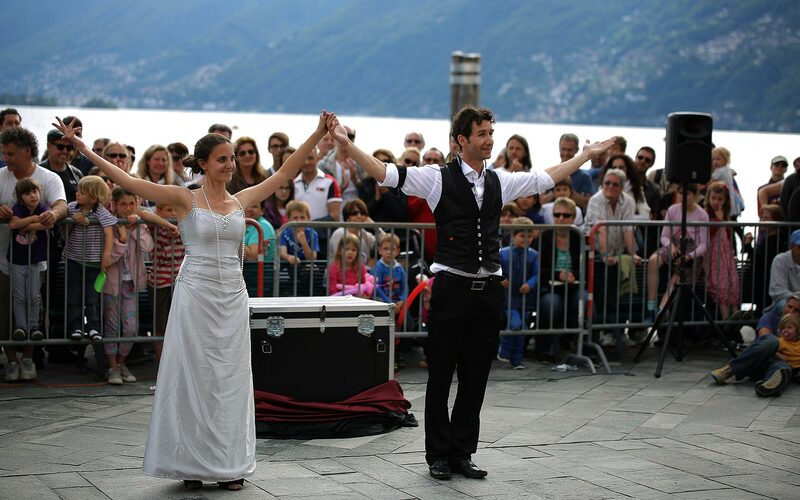 Sebastien with his decades of experience as a magician creates in every situation the right approach with the public, by measuring the technical skill, the precision of each movement with moments of comedy and improvisation. Rebecca brings on stage the famous art of "Transformism" where she combines her studies on theatrical costuming to magic. Each dress in fact is carefully tended. The purpose of the interaction between these two artists is to change the idea of the classic magic renewing it, fusing the various disciplines that illusionism contains in a show that will amaze any spectator. Beautiful and natural, specialist in Quick Change Rebecca joined the show in 2012, bringing with her a touch of color and elegance. Each change of clothes is studied in detail, fast, awesome and impressive. Rebecca manages to be loved by the audience not only with the transformism, but also with her personality bordering on shyness. Friendly and dynamic, expert in manipulation Sebastien loves to surprise the audience with common objects from every days use. 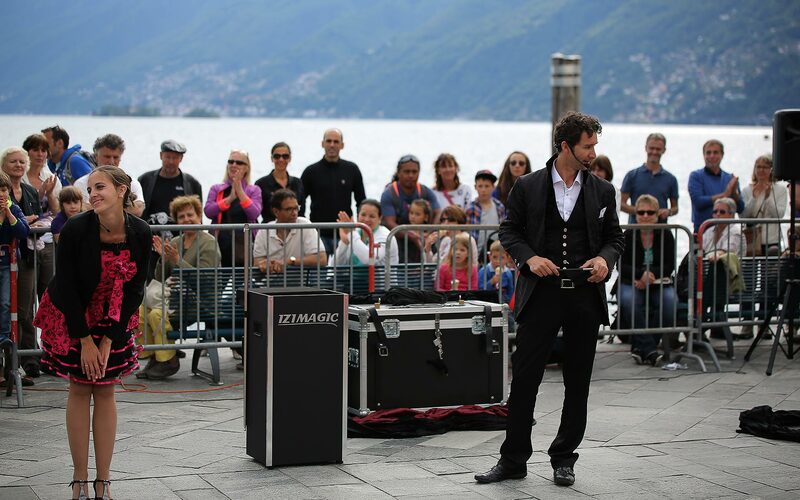 In the course of his life he presented his shows in various parts of the world, winning numerous awards, including the 2011 edition of the Street Magic competition at the "Masters of Magic. 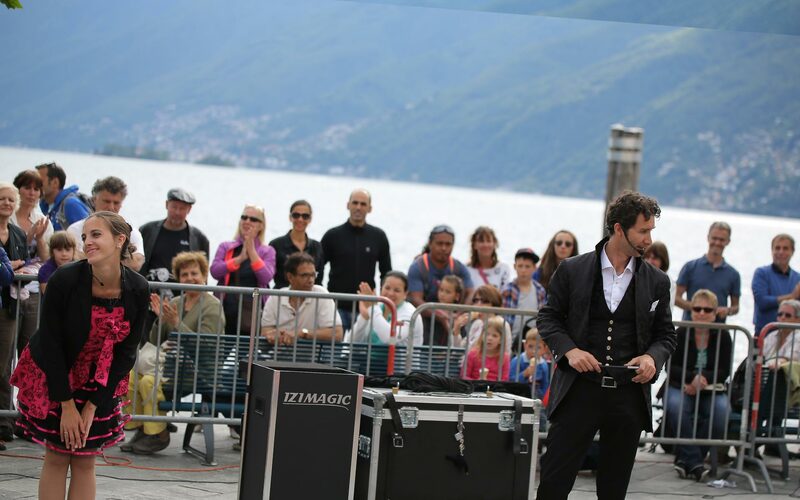 "Izimagic (Sebastien Desjardins) performs a true magic show, stage magic, really good, friendly and precise. Funny the performace of rope and ring, the manipulation of a cigarette and the Rubik's Cube. He executes in the company of his assistant a beautiful and original Metamorphosis. 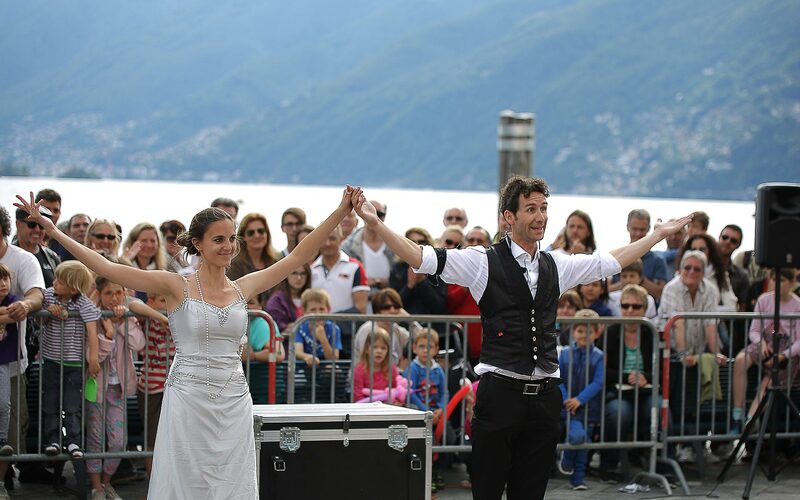 Perhaps the most "magician" of the competitors ". "In Colmurano everybody speak well of you. It 'was really nice to have you here. I hope you are happy with the Festival as well as we are !!! A hug from all of us." "Your show was surprising for the emotional charge that you gave and for the professionalism you have shown: all viewers were totally charmed! I thank you, therefore, for your participation. Hoping to see you again , I greet you and I wish you a big success also in the name of all the boys and girls of the group."